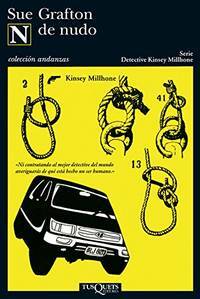 Sue Taylor Grafton (born April 24, 1940 - December 28, 2017) was an American author best known for her alphabet series of detective novels which featured private investigator Kinsey Millhone. The daughter of novelist CW Grafton, Grafton is a graduate of the University of Louisville, where she earned a bachelors degree in English Literature. She started writing novels when she was 18, writing 7 by the time she was thirty, only two of which were published Keziah Dane (1967) and The Lolly-Madonna War (1969). A Movie-Edition paperback of the Lolly-Madonna War was released by Sphere in 1973 and has a movie-related picture on the cover - as one of Grafton's rarest books the softcover re-release can be listed for $500-$1000, while a true 1969 first edition by Peter OwenPublishers can be listed for up to $10,000. Grafton decided not to publish the book in the United States or allow it to be reprinted. Grafton reportedly destroyed the 5 other manuscripts she had written during this time that were not published. Unable to find success as a novelist Grafton began writing screenplays, and 15 years of experience in Hollywood taught her about story structure, dialogue and action for her return to novel writing. 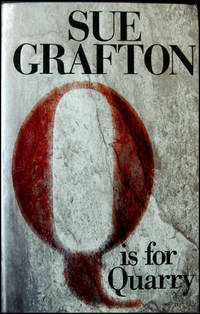 Grafton is best known for her alphabet series of detective novels which featured private investigator Kinsey Millhone. Her famous detective series, started with A Is For Alibi (1982). The first printing ran only 7,500 copies, and first editions can sell for around $1,500 in very good condition, more if signed and in fine condition. By the time G Is For Gumshoe was published the novels were a success, earning Grafton millions of dollars in advances and running hundreds of thousands of print copies per book. 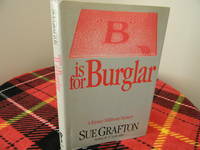 Grafton stated that the last novel of the series would be Z is for Zero, but she died before she started writing it, and her family states that their 'alphabet ends at 'y.' 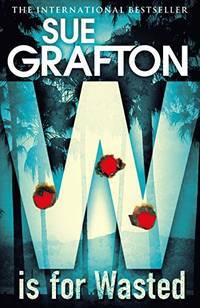 Y is for Yesterday, Grafton's last novel, was published on August 22, 2017. In 2004, Grafton received the Ross Macdonald Literary Award, given to "a California writer whose work raises the standard of literary excellence.